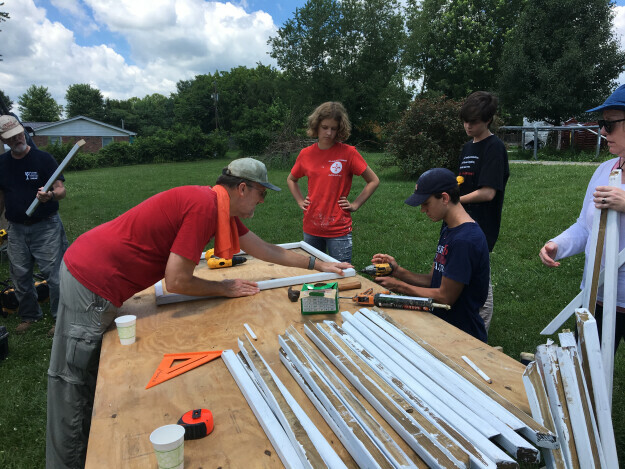 Parishioners (rising 9th grade and up) will spend a week working with St. Timothy’s Church on Barnes Mountain near Irvine, Kentucky. Our service to this Appalachian community could include rehabbing homes, installing window screens and even building a casket! This is a great way to serve with friends new and old. We will carpool following the 8:00 a.m. service on June 16. The week comes to a close with a community supper where we are guests of the many people we will have served. Registration will be open to the parishioners during Lent and opened to others in the Diocese after Easter on a space–available basis.